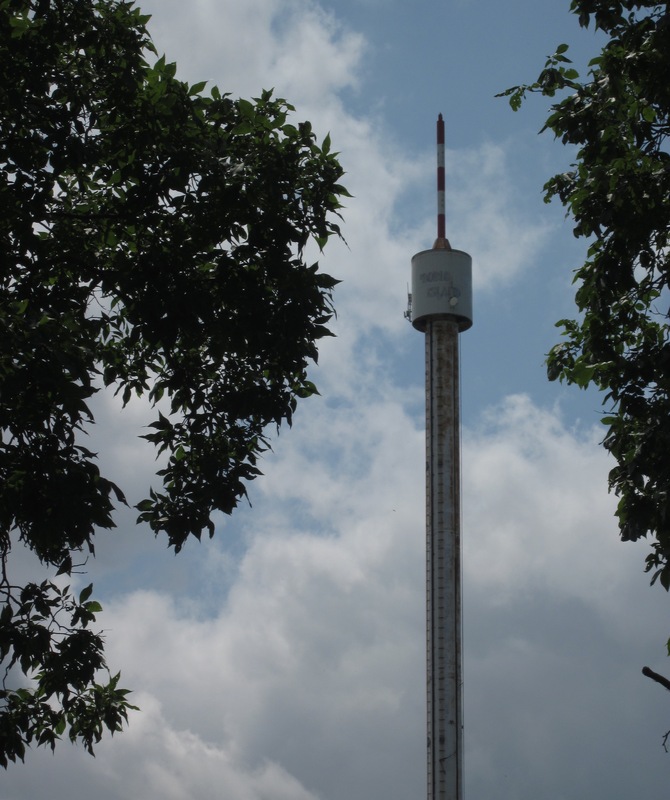 boblo island | What Next? 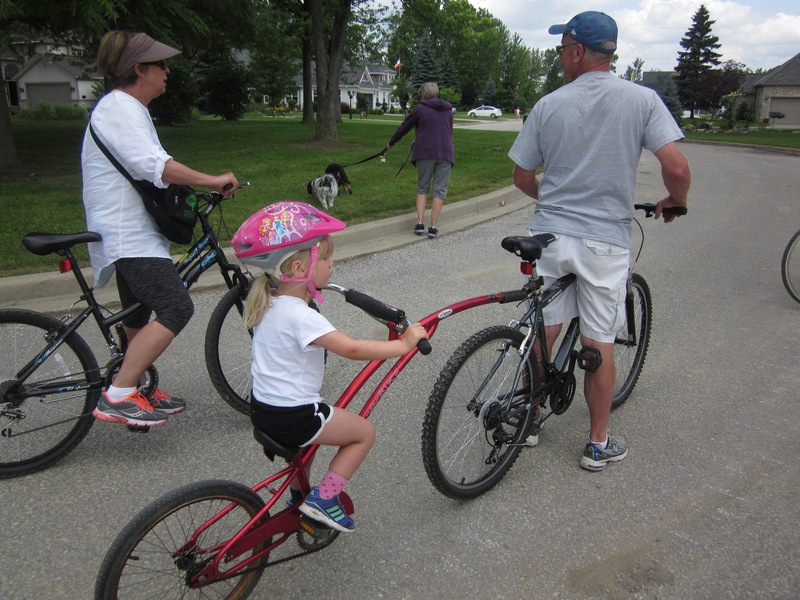 On Thursday twelve members of the Driedger family went on a bicycle trip over to Bob-Lo Island in the Detroit River. We had to say “Bob-Lo” instead of “cheese” for the photographer which explains the open mouths on some Driedgers in this picture. Bob-Lo is a derivative of the French phrase “Bois Blanc” which translated means “White Woods” and references the many birch trees on Bob-Lo Island. 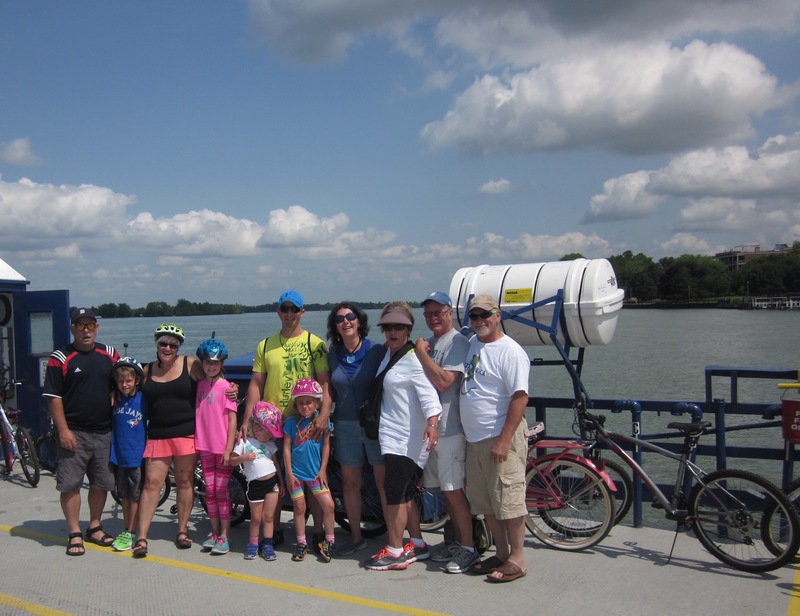 You catch the ferry-boat to Bob-Lo in the town of Amherstburg and so we drove down to Amherstburg in three pick up trucks loaded up with our bikes. 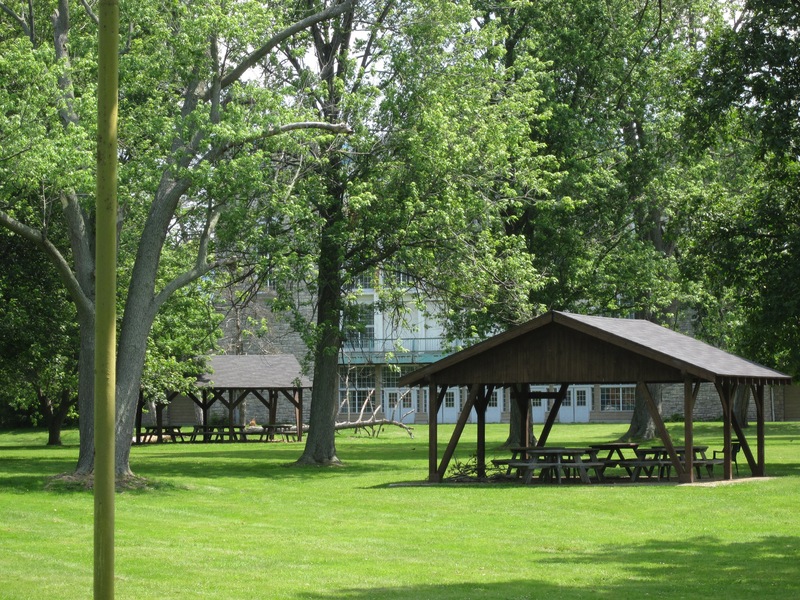 Bob-Lo Island, which is now an upscale residential development, served as the site of a French Catholic Mission to the Huron in the 1700s. It was the headquarters of Shawnee Chief Tecumseh during the war of 1812 between Canada and the United States, and was the invasion point for a group of patriots during the Upper Canada Rebellion in 1838. 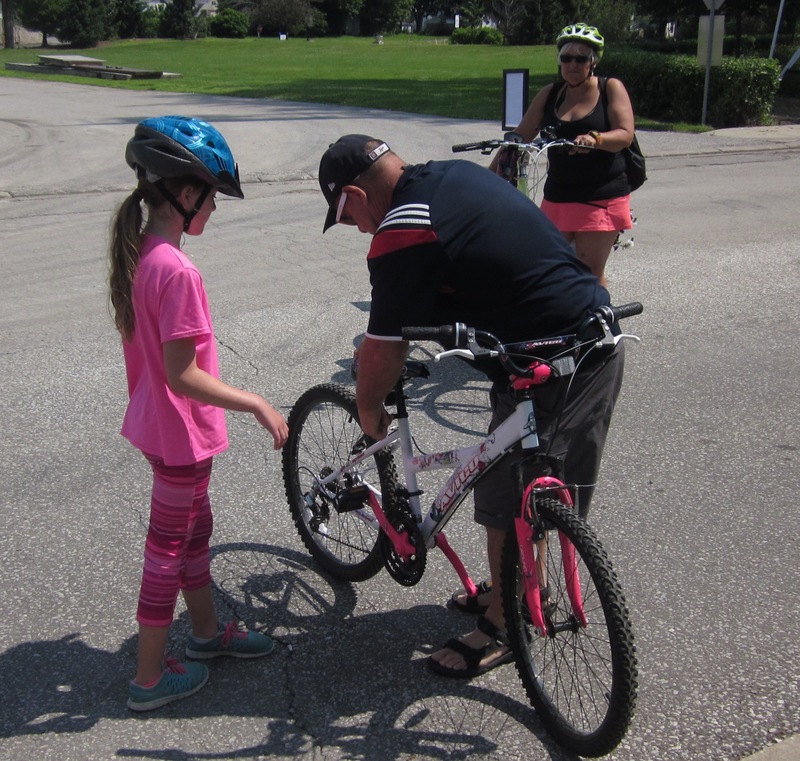 Uncle Dave does a little seat adjustment as we wait for the ferry-boat to take us to the historic island. The Bob-Lo Island ferry was at the centre of a Supreme Court case in 1948 when the ferry coming to Bob-Lo from the Michigan side of the Detroit River refused service to a young black woman and claimed the state of Michigan did not have the right to order them to serve the woman. The ferry company lost their suit and could no longer practice racial discrimination. The trip over to Bob-Lo was quick and it was a lovely day to be out on the water. 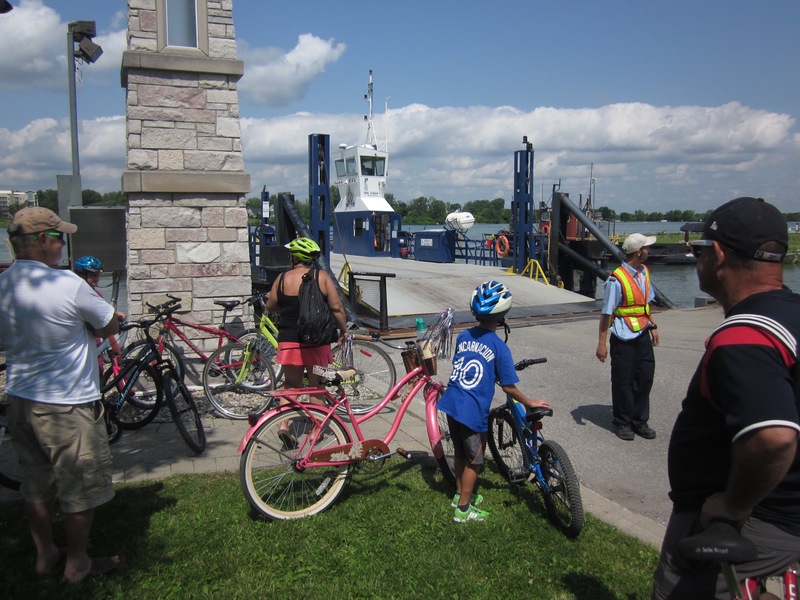 The Bob-Lo ferry which used to have routes between Ontario, the island, and Michigan was used by draft dodgers during the Vietnam War as a way to get into Canada. 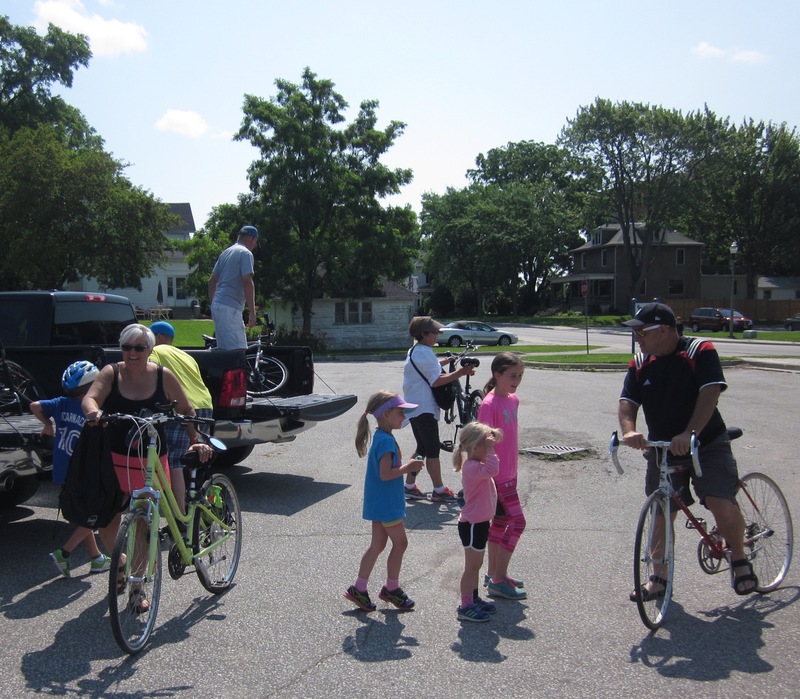 It took a little organizing to get everyone settled on the proper bikes but then we were off on our adventure. 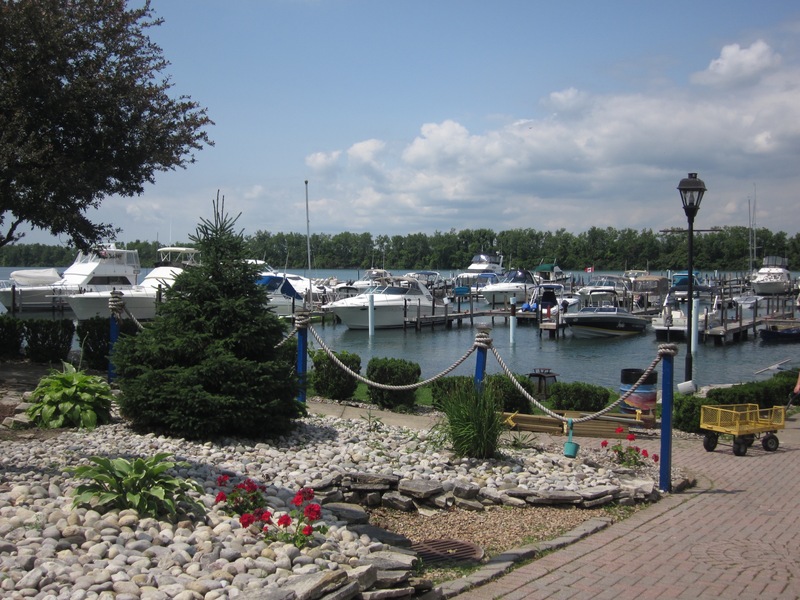 Bob-Lo Island which had a lighthouse for ships traveling upriver from Lake Erie in the early 1800s is only 2.5 miles long and .5 miles wide. So it doesn’t take long to drive around the whole island. Bob-Lo Island was an amusement park from 1898 to 1993 and we visited several times with our older son and his cousins on our family trips to Ontario. There are still a few artifacts and buildings remaining from the island’s amusement park days including the abandoned Space Needle ride. The dance hall on the island built in the early 1900s was financed by Henry Ford and was rumored to be the second largest in the world holding 5000 dancers. 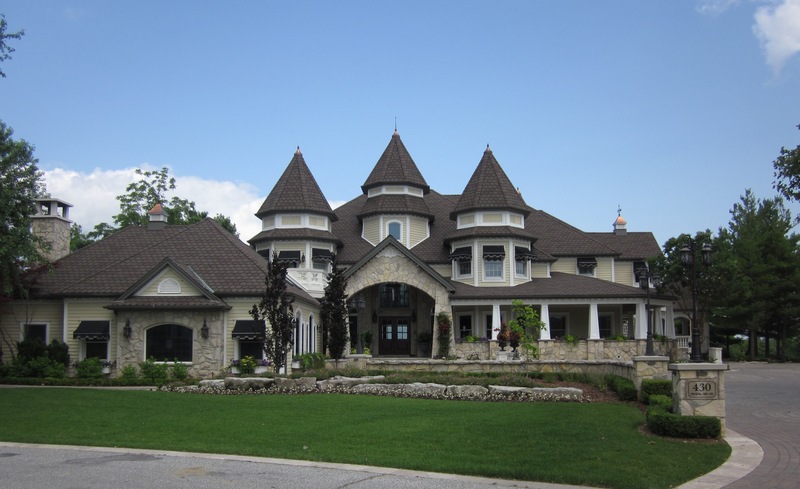 Bob-Lo Island is now owned by a residential development corporation and has huge homes. I’m sure it looks very different then it did between 1834 and 1860 when it was a stop on the Underground Railroad for slaves escaping to Canada. 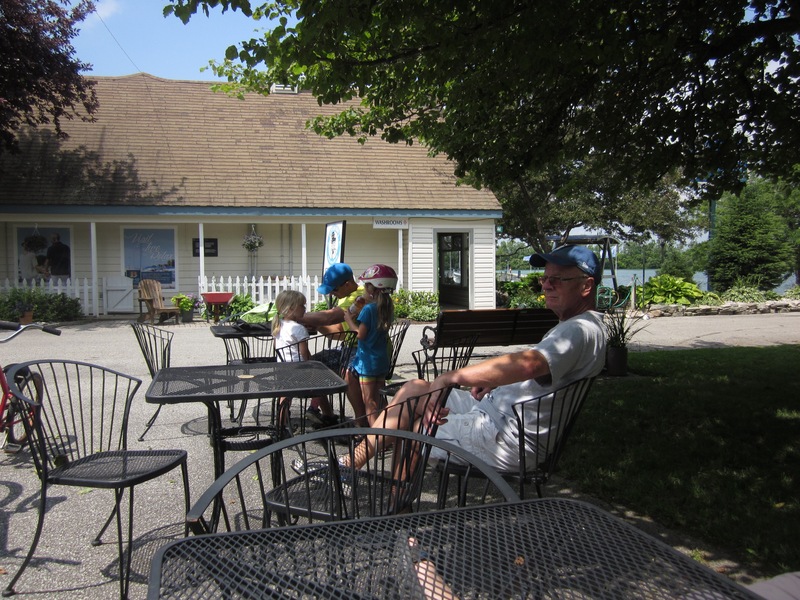 We stopped for a break at the ice cream stand and restaurant near the marina but were disappointed to find they were only open evenings and weekends. Some people did walk to the end of the marina pier. 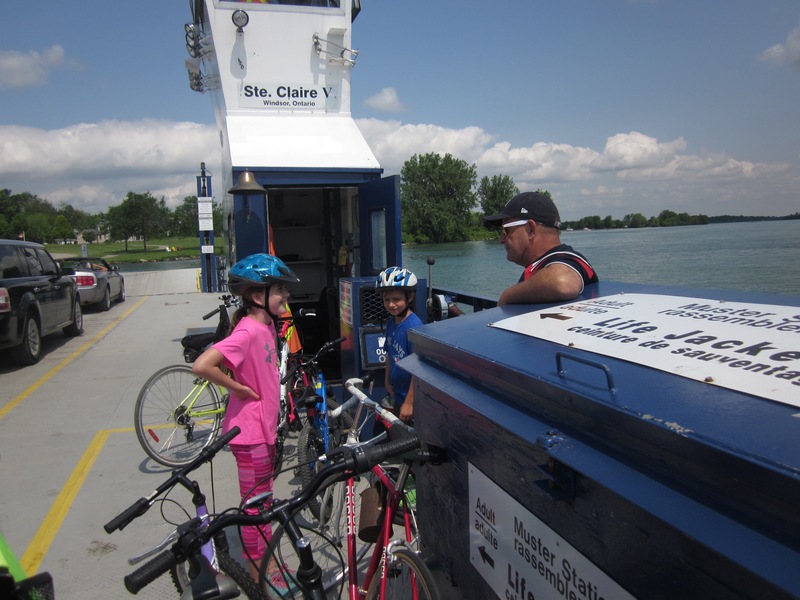 Once two huge ferries the SS St. Clair and the SS Columbia which each could carry 2,500 passengers sailed into Bob-Lo Island many times each day. Now the boats that dock there are mostly pleasure-seeking craft. 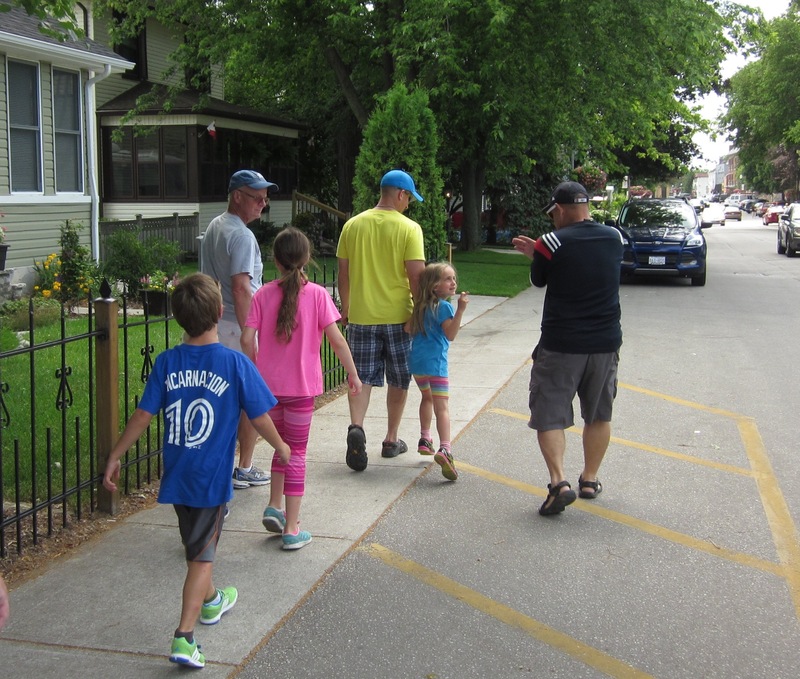 When both kids and adults were getting hungry we took the ferry back to Amherstburg and walked the streets to find a restaurant. 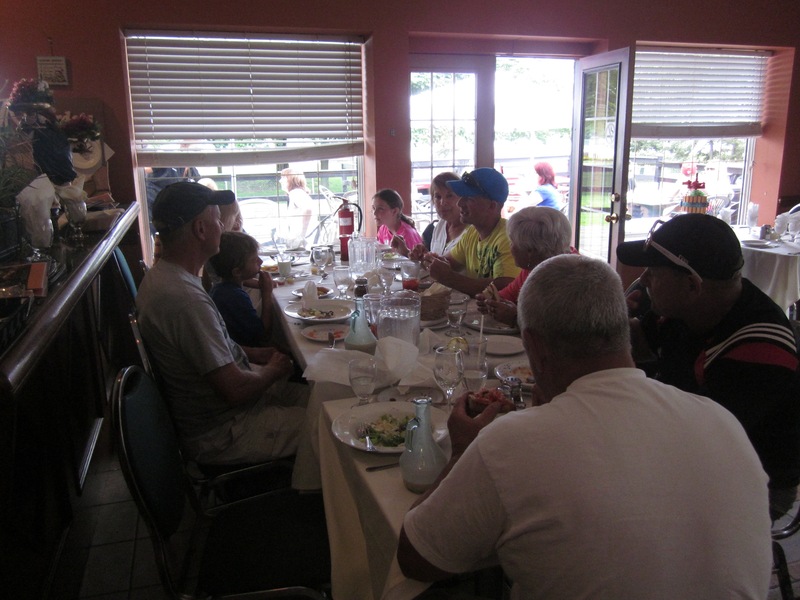 We finally settled on an Italian place that suited everyone’s fancy and reminisced about our Bob-Lo Island adventure over some good food. 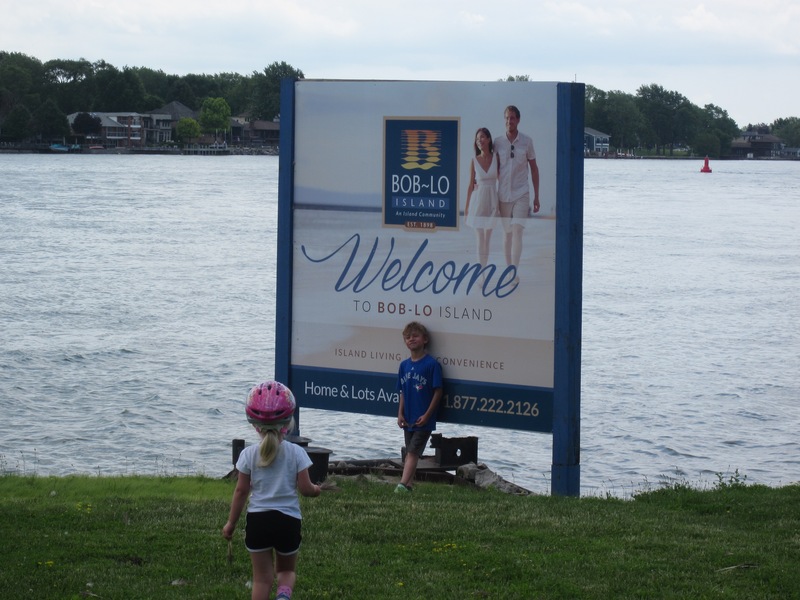 Bob-Lo Island was nice place for a family biking adventure. 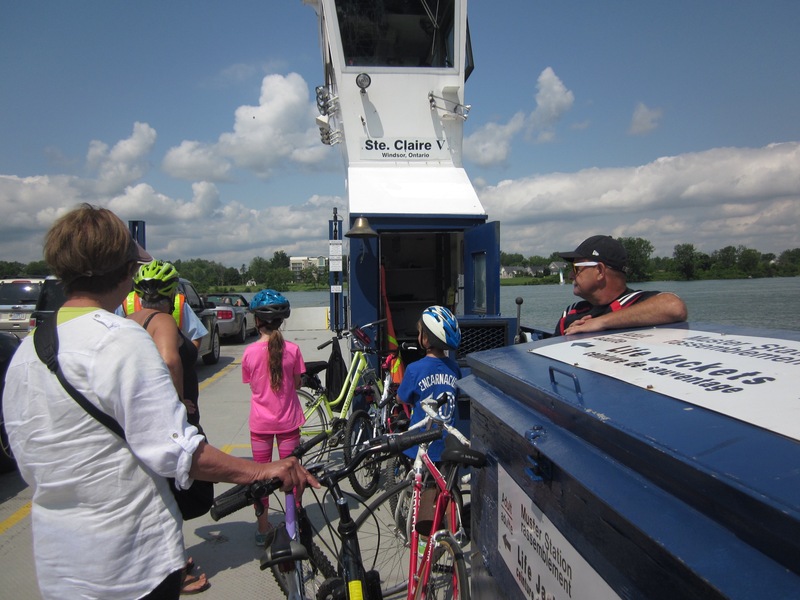 Not a lot of traffic, paved roads, Canada geese to race after, stones for skipping on the water and a fun ferry ride.